Children’s Health Foundation (CHF) strengthens and transforms the health care experience – by funding equipment, programs, and research – that ensure better childhoods for kids facing serious health issues and hope, relief and support for those who love them. By supporting CHF, donors enable cutting-edge care, rehabilitation and research that ensures the best care and the best hope for children and their loved ones who are experiencing a life-threatening or life-limiting diagnosis. This respected regional charity impacts more than 30,000 children each year, across the Southwestern Ontario region, from Windsor to London and Kitchener-Waterloo, and parts of Northwestern Ontario as far north as Thunder Bay, by raising funds for Children’s Hospital at London Health Sciences Centre, Thames Valley Children’s Centre and Children’s Health Research Institute. 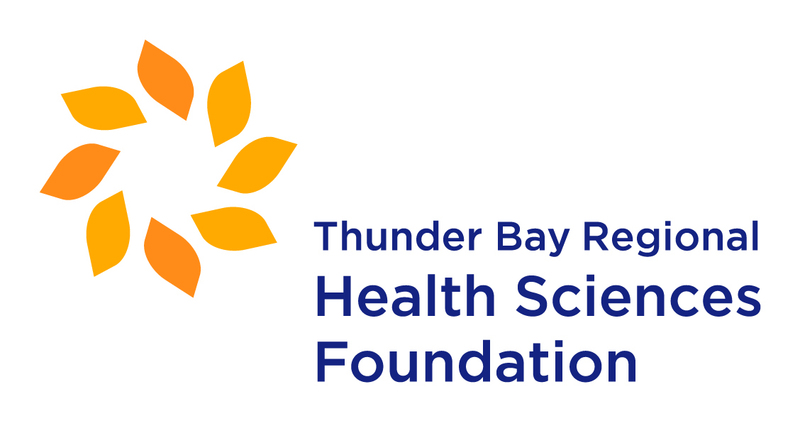 The Health Sciences Foundation’s mission is to inspire the people of Northwestern Ontario to give generously to enable the advancement of world-class healthcare at Thunder Bay Regional Health Sciences Centre. 100% of the money we raise stays here in Northwestern Ontario. The Health Sciences Foundation features three specialty funds: the Northern Cancer Fund, the Northern Cardiac Fund and the Health Sciences Discovery Fund. Each fund represents an area of high activity and high need in our community. Donors are able to designate their gifts to either of the funds or can support any area of care within the Thunder Bay Regional Health Sciences Centre, such as Renal, Paediatrics, Trauma, Neurosurgery or many others. Thanks to the generosity of donors, healthcare at Thunder Bay Regional Health Sciences Centre continues to improve every day. People are healthier and can receive more of the care they need here at home. Together, we are healthier. St. Joseph’s Lifecare Foundation is the official fundraising organization for both St. Joseph’s Lifecare Centre and Stedman Community Hospice. St. Joseph’s Lifecare Centre is home to 205 long-term care residents who due to physical and/or mental limitations can no longer live independently. Stedman Community Hospice serves Brantford, Brant County, Six Nations, New Credit Reserve and surrounding area residents. This is the only Hospice in the area providing medical care/support to individuals regardless of age, stage or type of disease to patients and their families dealing with a terminal or life-threatening illness. For more than 20 years, GreenUP has been central and eastern Ontario’s leading organization focused on issues of environmental education, sustainability, and stewardship. Our mission is to inspire and empower environmentally healthy and sustainable action in our community. Treasures Charity Thrift Store is a social enterprise operated by Beginning Again Richmond Hill, a registered charity incorporated in 1986. Treasures Charity Thrift Store is more than it seems. Of course, as a second hand store, Treasures sells good quality used clothing and household goods at affordable prices, accepts donations of household items providing an environmentally friendly alternative to the landfill for people moving, downsizing or de-cluttering and offers community minded individuals opportunities to give back. Hospice Huronia has been providing in-home visiting volunteer services and bereavement support to families in the region for over 24 years, serving the residents of Midland, Penetanguishene, Beausoleil First Nation, the Townships of Tiny and Tay and parts of the Township of Springwater. We are moving towards offering full-service hospice care with the building of a local residential hospice in 2018. All services are FREE to the client and their families. Our trained in-home visiting volunteers provide respite for caregivers and emotional support and friendship for individuals facing a life-limiting illness. We provide the much needed “Comfort, Care, Compassion” to our client and their families and ensure they are accessing the community resources available to them. Horizons for Youth is a shelter for homeless and at-risk youth between the ages of 16-24 years old in Toronto. We provide emergency accommodations and support programs for up to 45 youth each day. Our mission is to shelter, prepare and guide at-risk youth to be contributing community members. Horizons for Youth offers 24 hour intake services, 365 days a year, to ensure that young people in need of a safe place to stay can access one at all times. Youth residing at our shelter also have the opportunity to participate in many programs related to housing, employment, education and mental health. Yellow Brick House is a non-profit charitable organization committed to rebuilding the lives of abused women and children in York Region. Yellow Brick House provides four core services for all: emergency shelter, transitional housing, outreach services and public education. Services are available in 28 languages, and are free of change and full confidential. Rose City Kids is a nonprofit organization that offers programs to children in Welland, where kids feel loved and valued, and where they can have fun and learn new things and positive behaviours. Our goal is to make a difference in the lives of children.Our mission is to inspire each child to believe that they have been created for a purpose by a God that loves them so much. To inspire them to dream big dreams. And to instill Christian values and morals that will influence the choices and decisions they make in order to impact the direction and outcome of their lives. By working with volunteers and community partners, Habitat for Humanity Kingston & Frontenac has placed 13 families in homes throughout Kingston since the affiliate was founded in 1994. Habitat for Humanity Kingston & Frontenac partners with families, businesses, organizations, and individuals to build simple, affordable, and energy efficient homes. These homes are sold at no profit, to selected families through long term, no-interest mortgages. Families must prove a need for housing, an ability to meet mortgage payments, and a willingness to contribute hundreds of hours of their own labour, known as â€œsweat equityâ€, to the building of their own house or the houses of others. Habitat for Humanity Kingston & Frontenac builds simple, decent homes with partner families. Volunteers and families donate their labour to build houses under trained supervision. Profits from our ReStore, donations of money and materials from businesses, individuals, faith groups, and others. Our houses are sold at cost to partner families. Habitat homeowners’ monthly mortgage payments are recycled into a revolving fund for Habitat for Humanity Kingston & Frontenac that is used to build more houses.